In order to escape the persecution of the military regime, León Ferrari emigrated to Brazil in 1976. He moved into a spacious workshop and took up steel sculpture again, returning to the semi-abstract current of the early 1960s. He produced works of great complexity using intertwined iron rods. Ferrari’s enjoyment in portraying these sculptures is clearly evident in the carefully calculated framing and lighting. Born in 1920 and died in 2013 in Buenos Aires, Argentina. From 1938 to 1947, León Ferrari studied engineering at the Universidad de Buenos Aires. In 1946, he began his first drawings and paintings, moving on to sculpture in 1954. In 1962, he created his first abstract drawings, sometimes incorporating text. As an activist with the Forum for Human Rights and the Movement Against Repression and Torture, he was forced into exile to São Paulo in 1976. 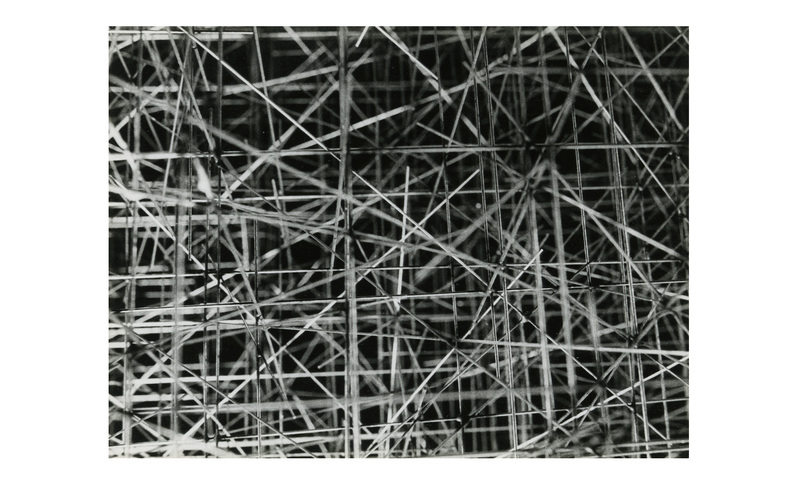 There, he became acquainted with Brazilian artists and began working with different techniques and media: postcard art, lithography, microfiches, videotext, and artist books. Moving into a spacious workshop in 1976, he returned to the semi-abstract aesthetics of the early 1960s, making sculptural works in steel. He produced works of great complexity using intertwined iron rods. Ferrari’s joy in portraying these sculptures is clearly evident in the carefully calculated framing and lighting of his photographs. After several trips to Buenos Aires, he settled in Argentina. His numerous exhibitions include Retrospective at the Pinacoteca do Estado de São Paulo (2006) and Politiscripts at the Drawing Center in New York (2004).